Recently, I went on my first vacation outside of the Balkans since starting my service. 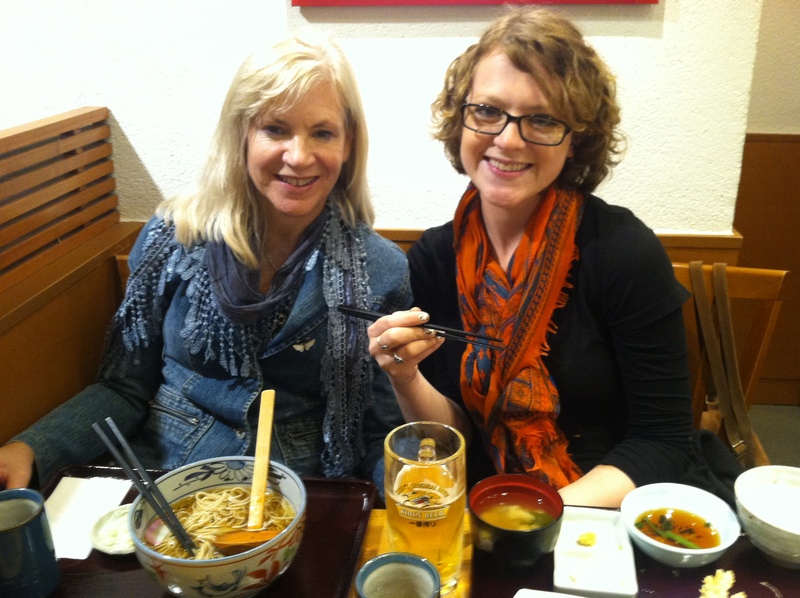 I met up with my mom and step-dad in Japan! 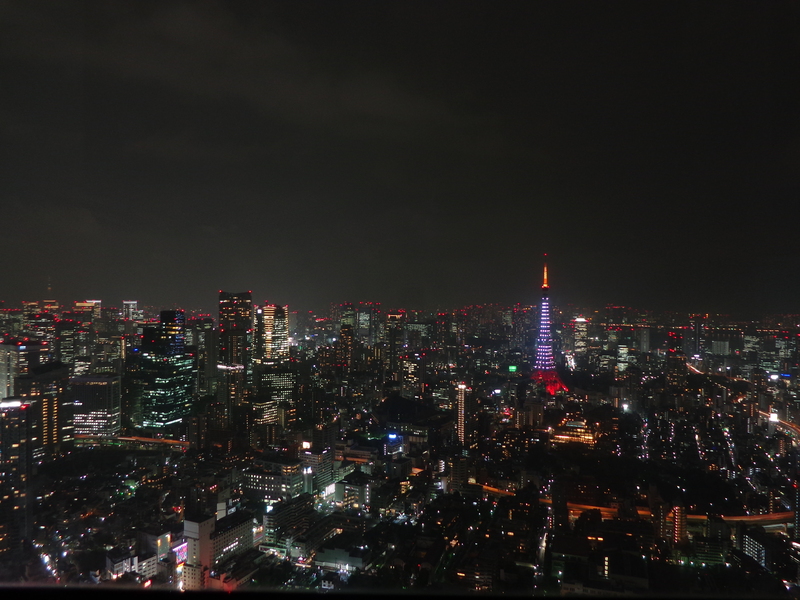 We did several fun things during our trip including: shopping in Harajuku, drinking green tea brownie Starbucks, exploring Shinjuku garden, contemplating life over the night view of the Tokyo skyline, hanging out on Mt. 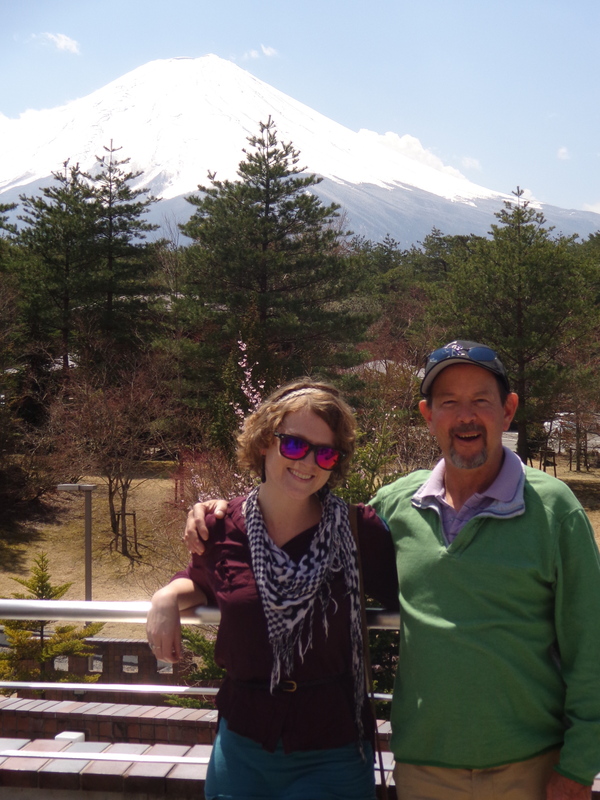 Fuji tour with Sunny-san, venturing around Hakone, checking out shrines in Ueno park, and much more. 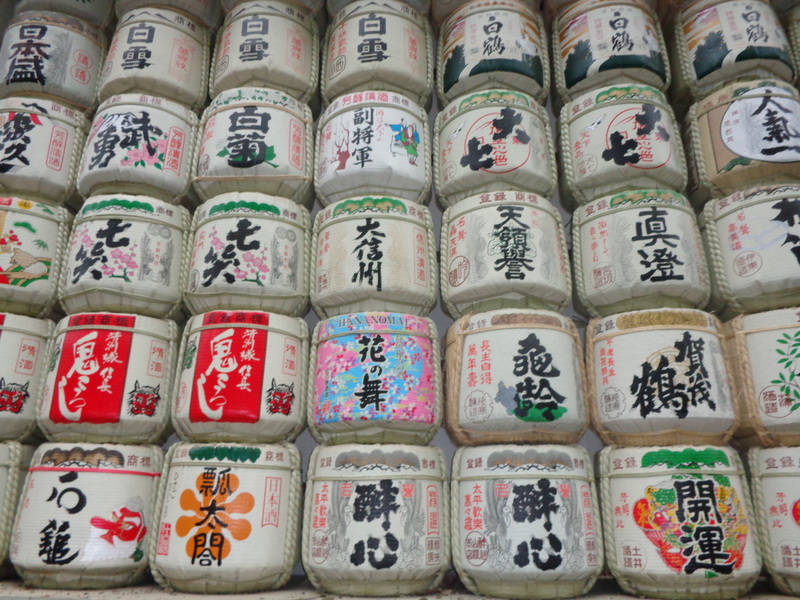 Japanese culture is extremely different from Albanian culture. 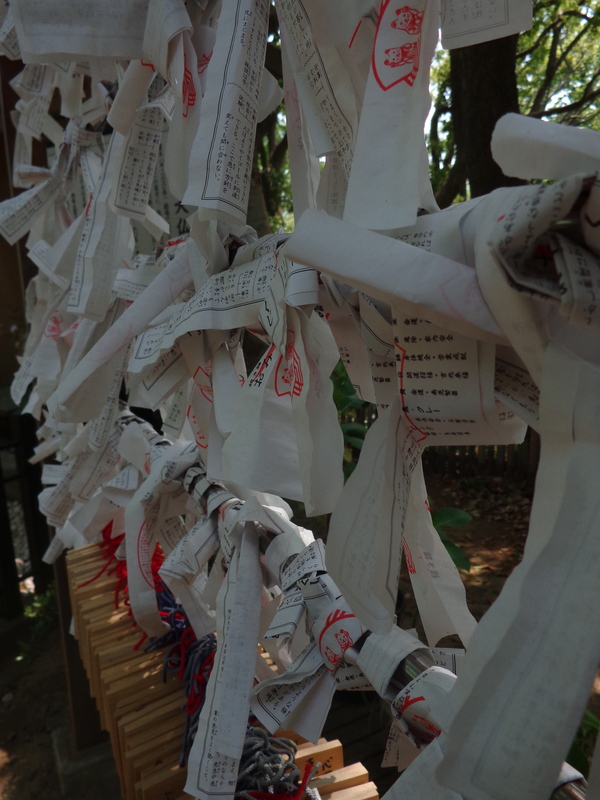 It was a unique experience to visit Japan with the lens of a Peace Corps volunteer in Eastern Europe. So in typical Albanian fashion, I find it is appropriate to compare my perceptions of the two countries. In Albania, most of the time lines are non-existent or not followed. I find this to be common while waiting to pay my bills in the post office, get on public transportation, or buy my groceries in the market. Many people will cut in front of others without a second thought. Immediately I noticed orderly lines everywhere in Japan. People respect lines and wait for their turn. The tellers also follow line order and make sure that you were, indeed, waiting your turn. While waiting in the line for the bus, an attendant actually ushered me to move forward about a foot because there was empty space between me and the person in front of me. They take their lines seriously! In America and Albania, people normally walk on the right-hand side. Actually, in Albania people really just walk wherever they want. There are not many crosswalks or stoplights, and even if those road-safety features are available, many people till cross the street wherever they please (myself included) and take up the entire sidewalk during their evening xhiros. People walk on the left-hand side in Japan. Many of the walkways and stairways are marked with arrows to remind people which side to walk on. Another interesting thing I noticed about Japan, is that the walkways also have Braille walkways for visually-impaired citizens. After a few days walking and driving around on the opposite side of the road, I started to become confused about which way was which and continued to accidentally walk wherever I desired. When I travel in Albania, I mainly take public furgons (mini-vans) and buses. 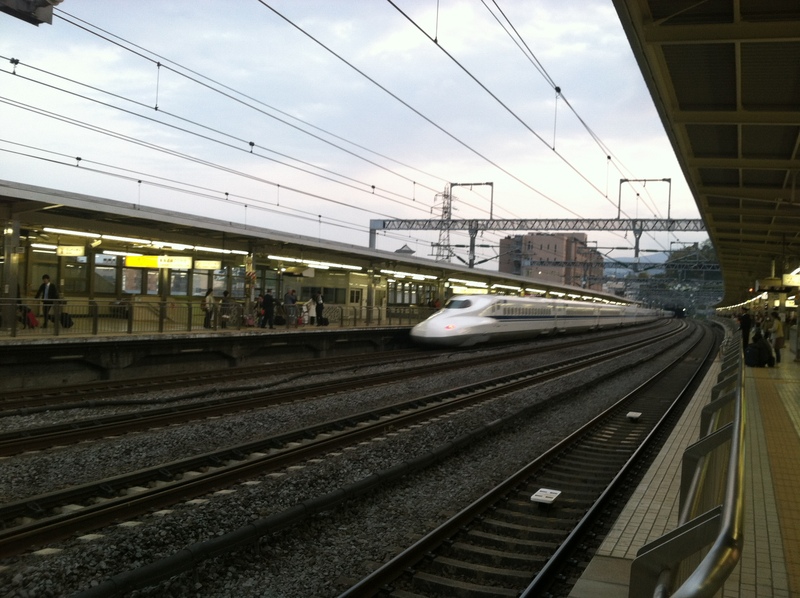 There aren’t any posted schedules for transport, which can make traveling a little tricky. When I leave my site, I usually walk out to the highway and wait for a furgon or bus on the side of the road. I know which car I want to take based off of a small sign in the front window indicating the final destination. Sometimes I have waited for over an hour to find transportation. The public transit system in Japan is really intricate and quite impressive. There are many different forms of transportation and I took most of them during our trip. The underground subway system in Japan is crazy confusing, but very convenient if you: 1 – understand Japanese, 2 – know exactly where you are going. 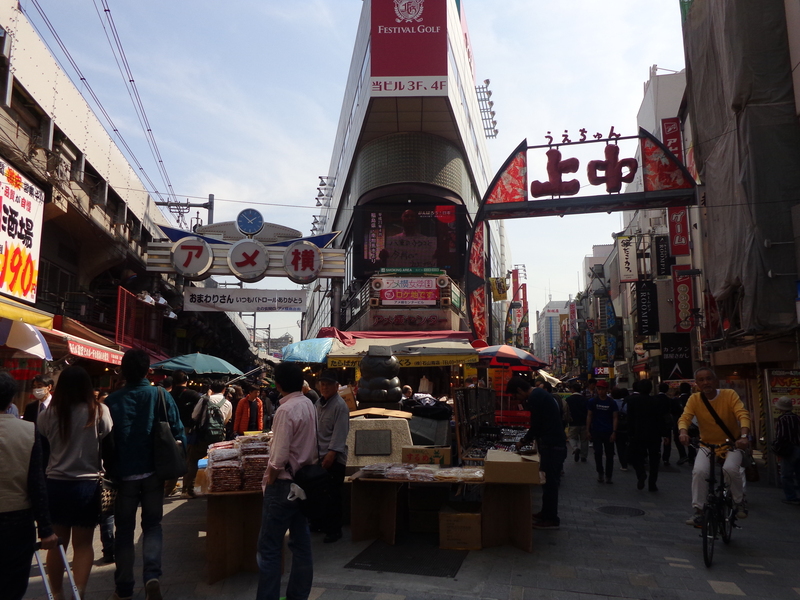 I probably spend at least ¼ of my time in Japan lost and confused about where exactly I was. After a few days, I was beginning to navigate the public transport with ease, and probably would have been a pro with a bit more practice. They have one of the best public transportation systems I have seen and it is definitely easy to get from point-a to point-b. 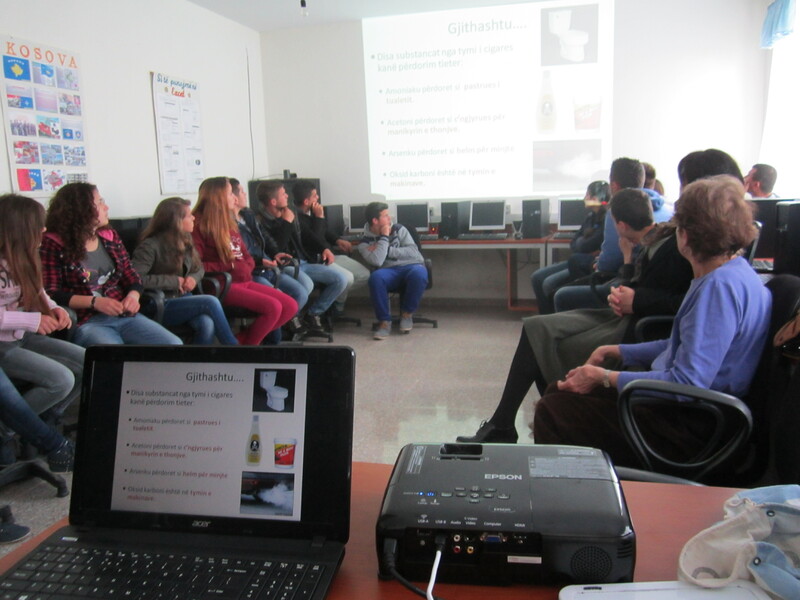 Often times, it seems as though sanitation is not one of the highest priorities in Albania. I see lambs slaughtered on the road daily and the splattered blood remains on the sidewalk. Many public bathrooms are not equipped with soap and toilet paper, and sometimes they don’t even have a western-style toilet. I have seen many people around town pick their noses in public without care. Many Japanese people are overly-cautious when it comes to sanitation. Face masks to keep away the germs are commonly worn in public places. A lot of the public restrooms had fully equipped toilets with bidets built in. Automatic soap dispensers were everywhere. Why that was noteworthy for me? I am not quite sure. I love coffees in Albania. Coffee-time is a great opportunity to sit down with friends and catch up on life for a few hours over a small cup of espresso. Coffee is an integral part of many Albanian’s days. There were not many coffee shops in Tokyo, at least in comparison to Albania. During my trip, I mostly drank coffee and milk tea from vending machines. Vending machines are all over the place in Japan. And the special thing about these vending machines is that they can serve your drinks hot. Mind-blown. In Japan they also have cat-cafes, which are cafes where one can go, have a coffee, and play with cats. Sadly, I was unable to go to a cat cafe during my short week there. Next time. Albanian fashion is fun and full of color, fake jewels, sparkles, high heels, and shirts with awkwardly misspelled English decals. A lot of my coworkers have clothing specifically hand-tailored to their preferences. The older generations can often be seen in traditional wear. Older men always seem to be wearing dress coats, even in the dead-heat of summer. The younger generations of men like to wear their hair cut short and tight clothing is common between both sexes. Business is a major part of city-life in Tokyo. Every busy street corner and subway car was full of a sea of suits. Suits are required and dressing professionally is a must for the workplace. Women also dressed very professional in blazers, skirts, and other work-appropriate clothing. 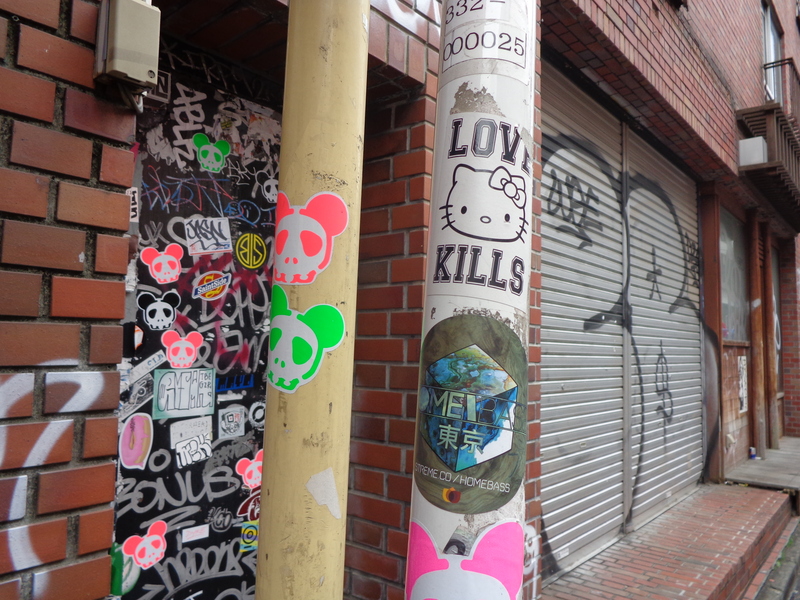 Along with the business side of the city, there are also hip-cultures amongst the youth in Harajuku and Shinjuku. 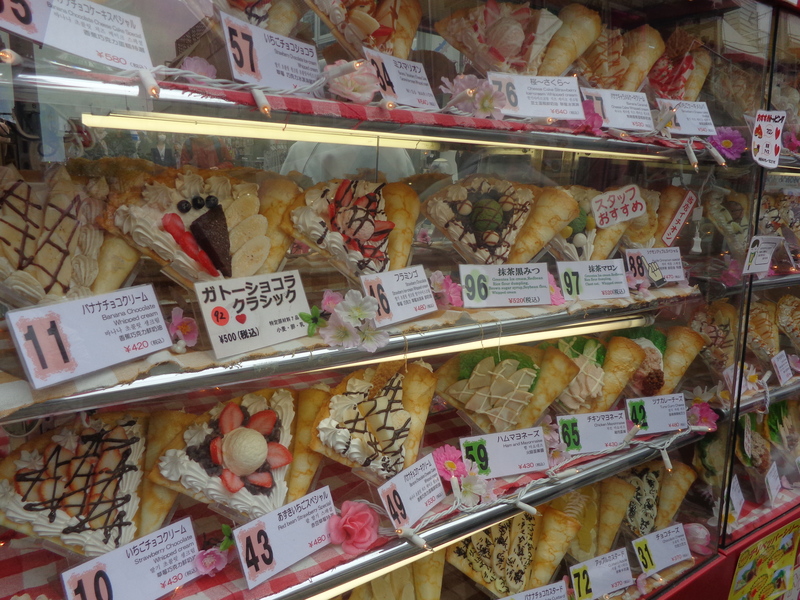 Shopping in Harajuku was to-die-for. Many of the clothing looked like it should be worn to a rave or a costume party. 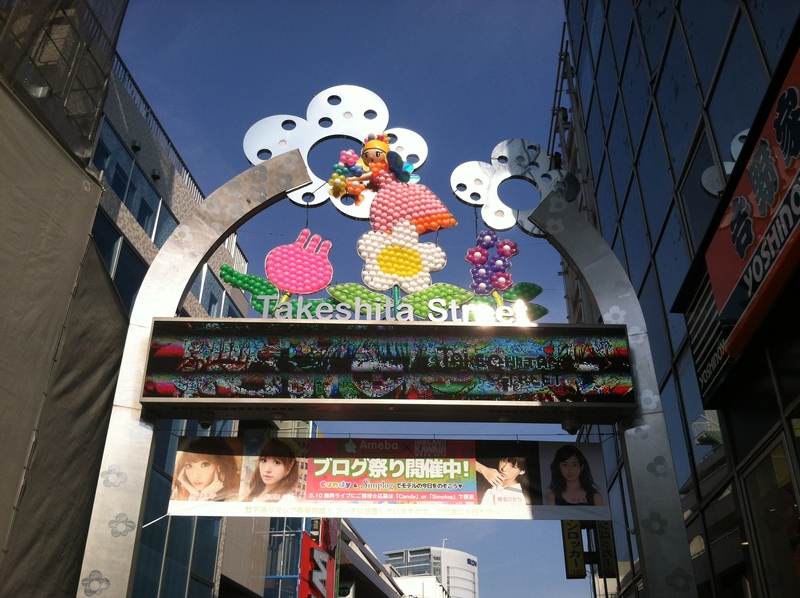 I had to venture out to Harajuku because of Gwen Stefani’s nineties pop-hit Harajuku Girls. Love it. I love the prices in Albania. I can get a great lunch for 50 cents to two dollars. It’s made on the spot and it’s usually super delicious. I can travel across the whole country for less than fifteen dollars. The cost of living is significantly lower here in comparison to the states and Japan. I have gotten used to spending ten bucks and having enough food in my apartment for almost two weeks. The price difference in Japan instantly hit me. Everything was ridiculously expensive. 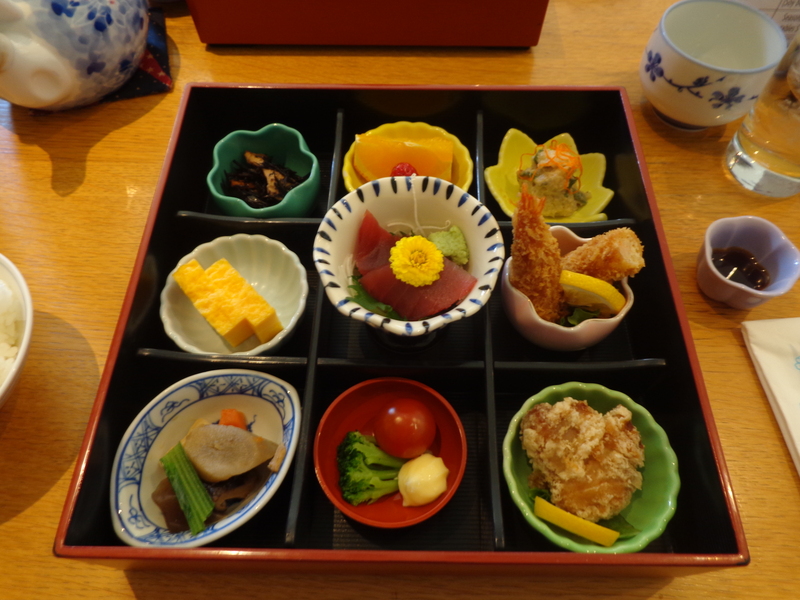 One meal in Japan was an much as I’d normally spend in the span of several days in Albania. My final cab-ride to the airport ended up costing more than some plane tickets. I was appalled! After emptying my wallet I was ready to head back to my simpler lifestyle. Overall, I had a great trip and a break away from work was exactly what I needed. The travel helped me to appreciate my independence in Albania and helped me realize how integrated I am in Albanian society now. The road up to Mt. Fuji plays music as you drive up the mountain. The rotation of the tires on the street produces friction, which in turn produces the music. Japenese school children actually do wear uniforms to school. Some of the uniforms are a bit more scandalous than others. The whole time I couldn’t help but think of this scene from Kill Bill. 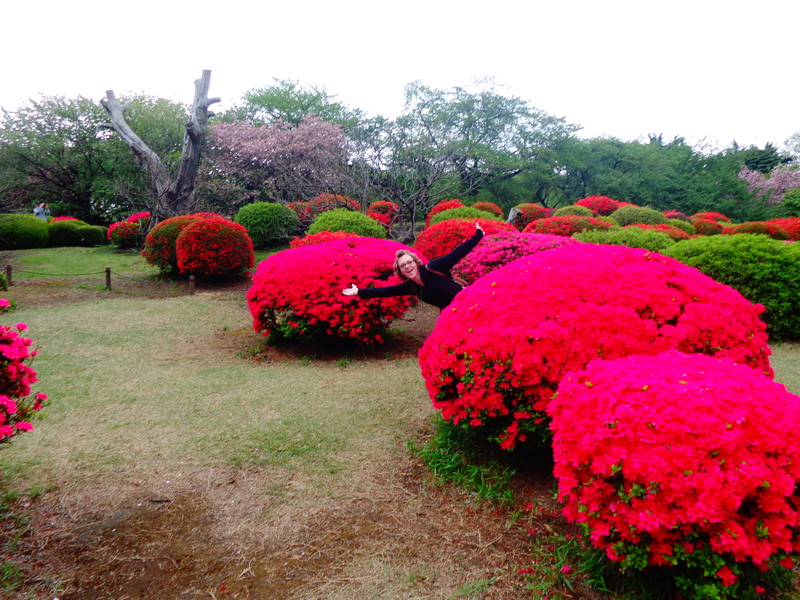 A lot of Japanese people have a loud gregarious laugh, much like my own. It is common to say san after someone’s name as a sign of respect. For example, you can call me Xhilli-san. President Obama was also visiting Japan while we were there. A lot of Japanese people have large, expensive cameras. I had the opportunity to take a photo of a man who was very specific about how he wanted his picture taken, but he didn’t speak any English and I don’t speak Japanese. It was a funny cultural exchange. 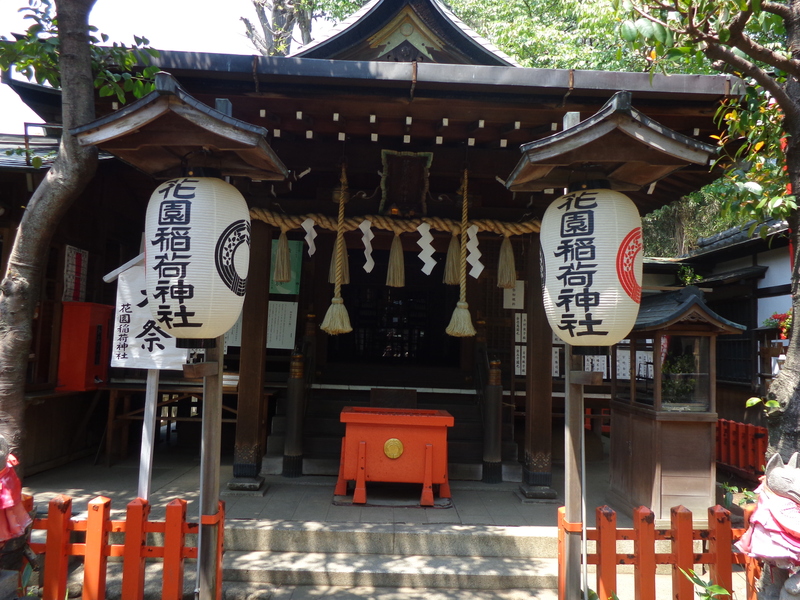 People with tattoos cannot enter traditional Japanese bathhouses because they are seen as being involved with gang activity. Tokyo will hold the 2020 Olympics and are looking for an influx of English teachers to help with the transition. Dinner our first night. First time I saw my mom in over a year! 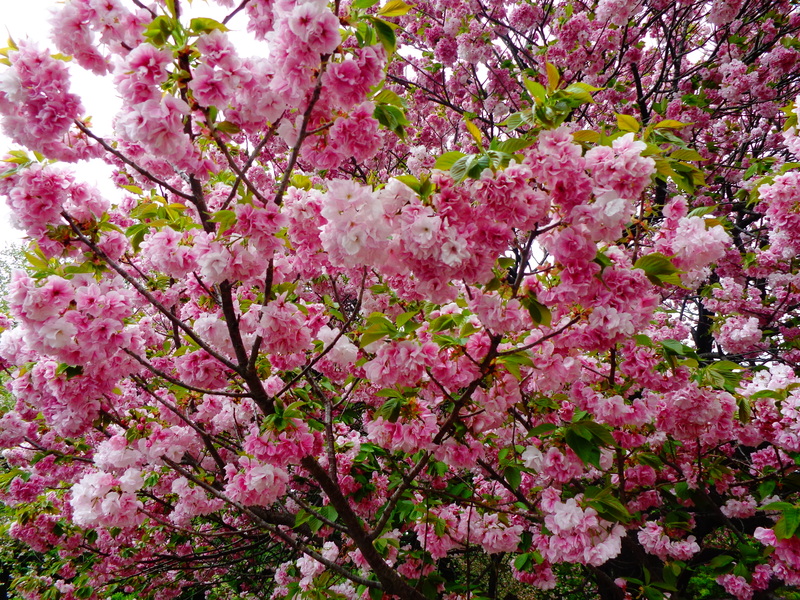 We arrived just in time to see the end of the cherry blossom season. 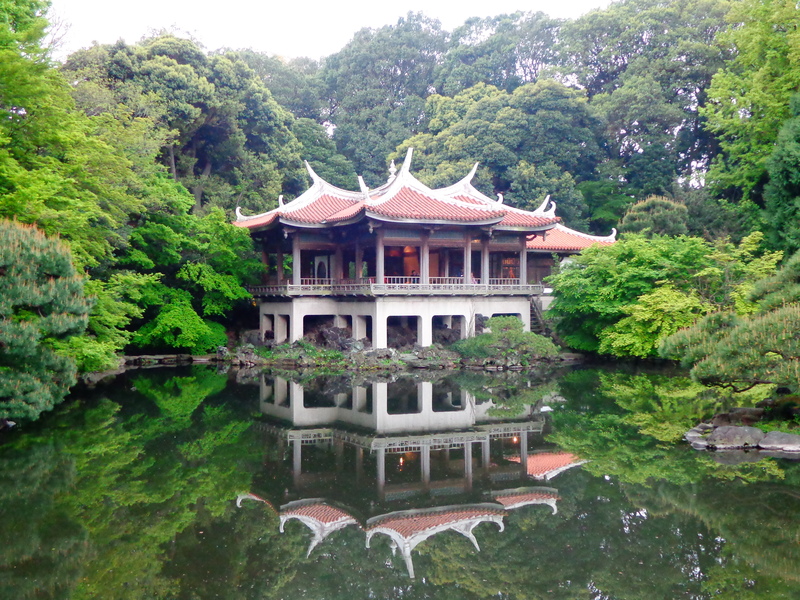 A japanese tea-house in Shinjuku. Mt. Fuji with my step-dad. 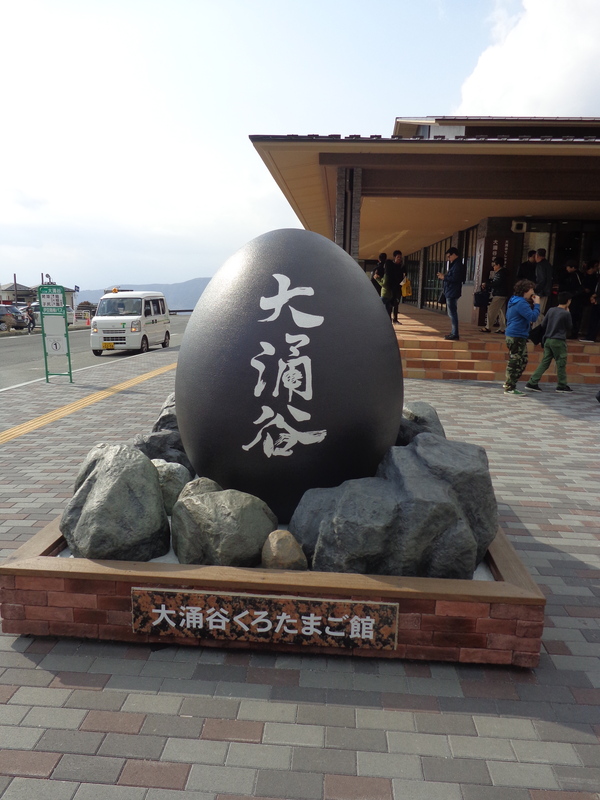 When one eats a black egg, it is rumored that they will live seven years longer. 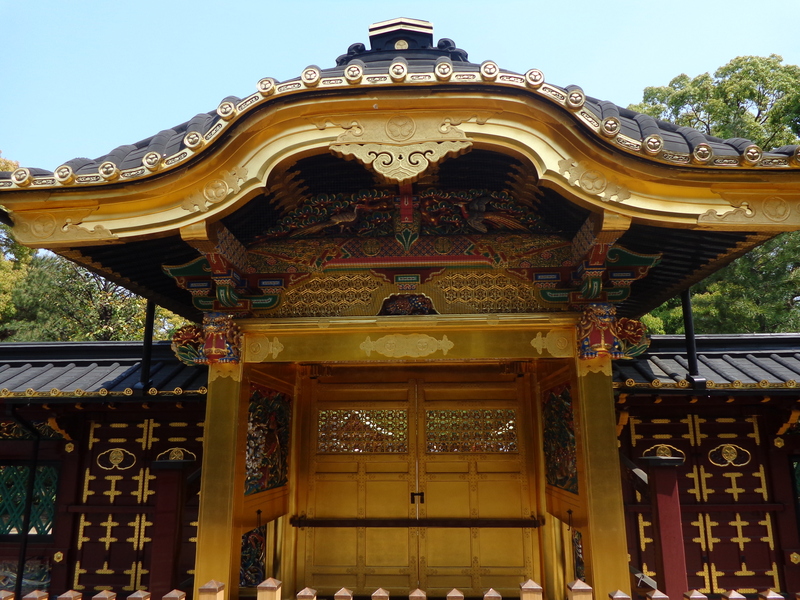 Another shrine in Ueno park. 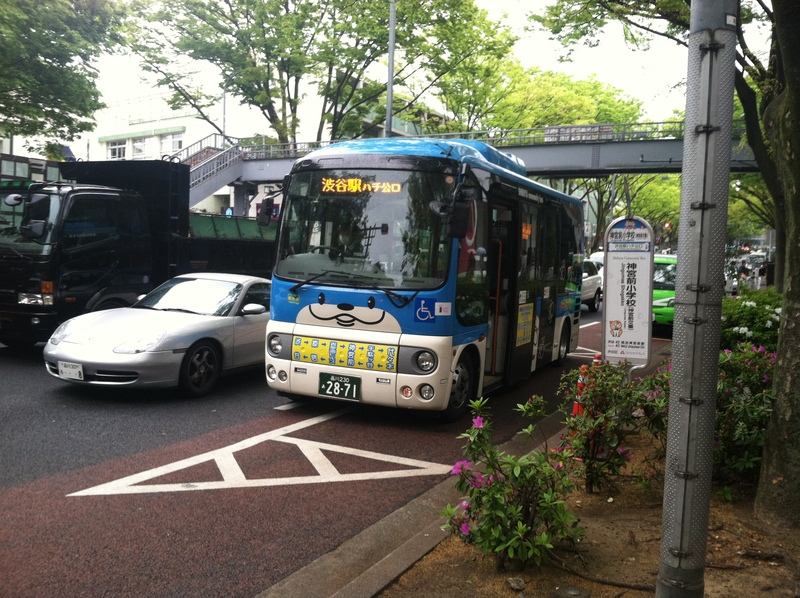 Even the buses are cute in Japan! 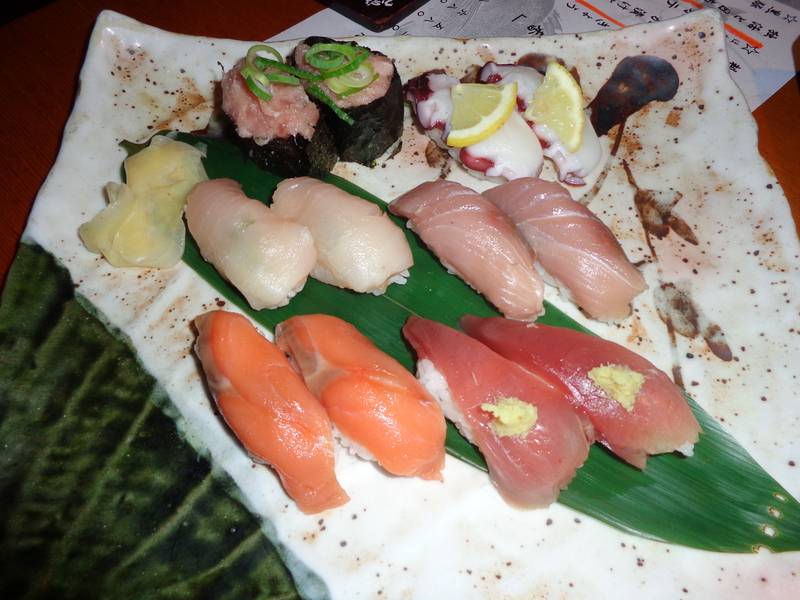 No trip to Japan is complete without plenty of sushi! Another photo of me in Durres from the talented Quinn. Super awesome. Some cool photography from the trainee that visited us during his pre-service training. Every year, during pre-service training (PST), new trainees travel to different cities all across the country to visit current volunteers and experience real volunteer life. PST is an intensive experience where practically every minute of every day is planned out for new trainees. Last year, I visited a volunteer in Rreshen for my volunteer visit. 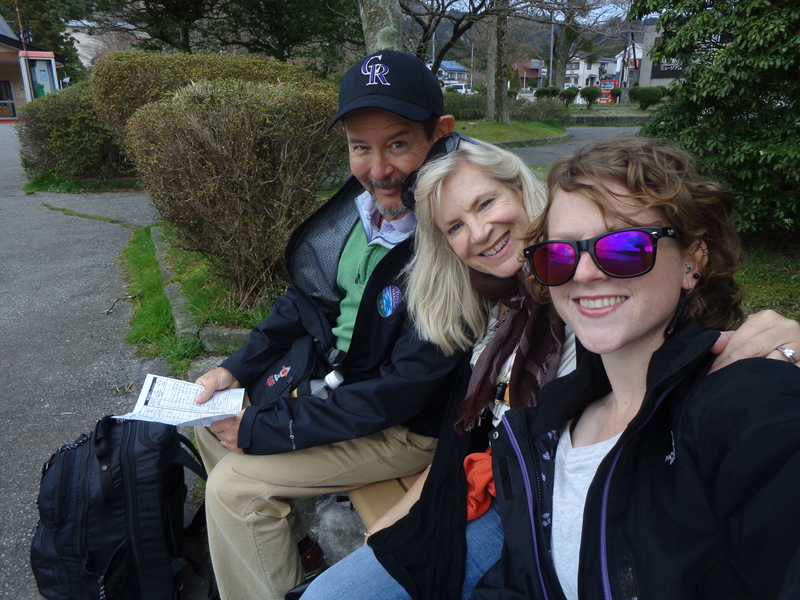 I remember being so excited for the future and had a blast taking some time away from the strenuous schedule of PST. We drank American coffee, went on hikes, explored castles, and had our first taste of independence in Albania. Since I enjoyed my experience so much last year, I wanted to pay-it-forward and host trainees in my home this year. This past weekend, three new Group 17 trainees came to visit me and my site-mate. Quinn and Jefferson are English education trainees that shadowed Kate and Olivia is a health education trainee that shadowed me. We spent the weekend having plenty of coffees, exploring my site and Durres, taking pictures, binging on American food (Girl Scout cookies and tacos – can it get much better?! ), and having nightly movie marathons with my new projector. It was so much fun meeting new Americans and showing them some of the basics. Then on Monday, the trainees had the opportunity to shadow us at work. My counterpart and I planned to do a lesson on the harmful effects of smoking and implement the lesson with a jeopardy game that I created. This lesson went over very well thanks to my new projector; big thanks to everyone back home that helped donate money. Having the projector completely changed the entire lesson. The students were extremely engaged and interested. Some of them seemed shocked to find out some of the different chemicals that are found inside cigarettes. It was, hands-down, the best health lesson that we have implemented thus far! I am glad that Olivia was able to witness the success. 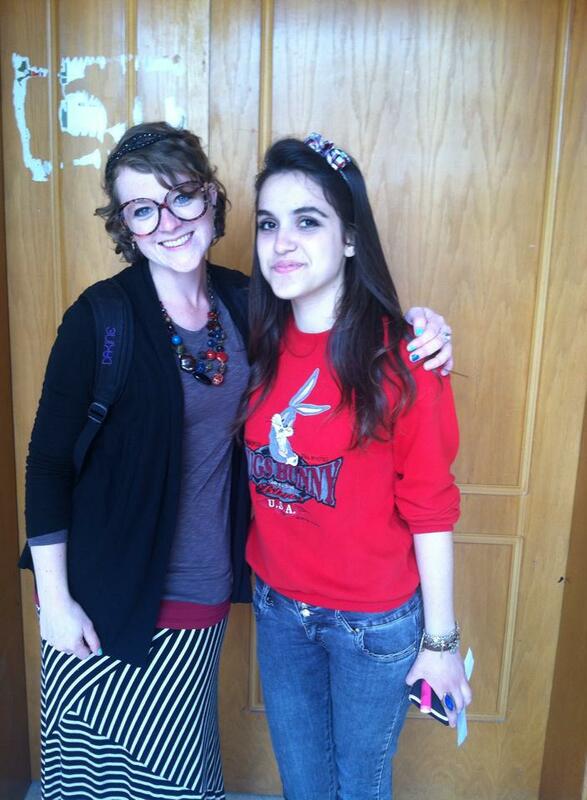 Now, my time in Peace Corps Albania has officially reached over the half-way mark. I am going into my second year serving as a health education volunteer and life finally feels like it is going smoothly. I have integrated into my community, built better relationships with my counterparts and coworkers, speak the local language enough to get by in most situations, and ultimately feel good about my service thus far. 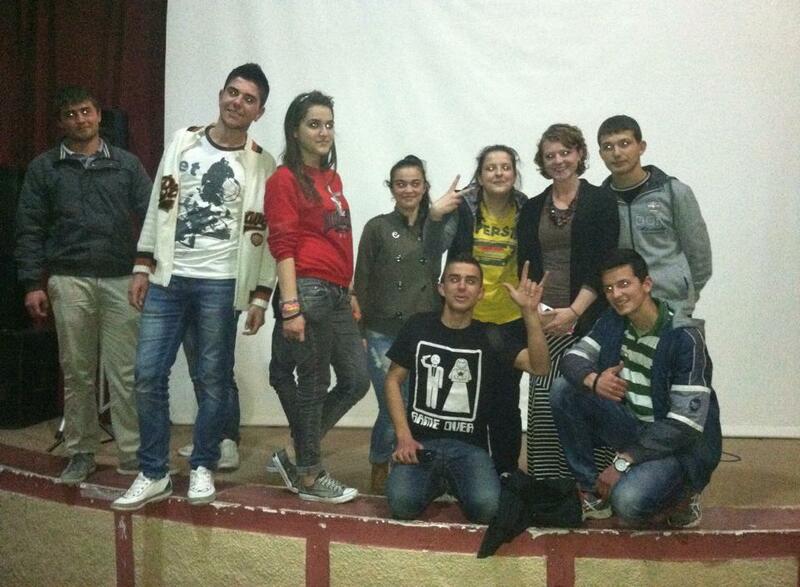 Having the trainees here really reminded me of how far I have come since I first arrived in Albania in March of 2012. I can’t wait for my second year in country and I can’t wait to get to know the other awesome Americans in group 17 that I will be spending this next year volunteering with! The new projector is AMAZING! Several weeks ago our Outdoor Ambassadors youth group decided to hold our first fundraiser. We wanted to begin raising money to do different projects in the community like garbage cleanups, community gardens, planting trees, and painting trash cans to beautify the city. The students felt other people in the community would be interested in a movie, so the club voted to play the second film in the Hunger Games series. During the initial planning phases of the fundraiser many things went awry. Luckily, since working in Albania, I have become accustomed to working last minute conditions. In order to have the fundraiser, there were several steps we had to take in order to have the activity. 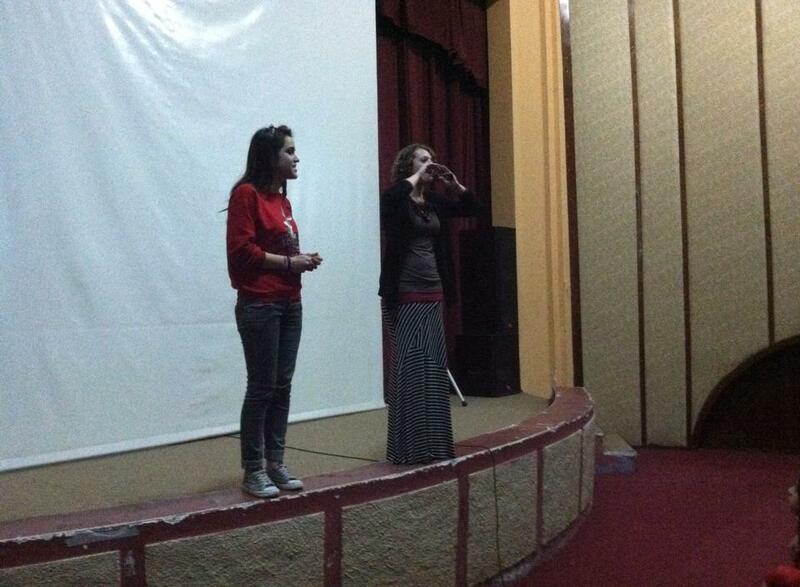 First, we had to get permission from the Mayor and the Culture Center to hold the activity without a venue fee. The students wrote a short proposal for the mayor outlining what kind of projects we will use the money for and then the mayor agreed to let us use the venue. It took several days for us to receive permission and this made many of the students nervous because we did not want to start promoting the activity before receiving the proper go-ahead. We finally received permission to have the fundraiser two days before the event. After that, I spoke with some of my community connections to find us a projector and the other necessities for the fundraiser. 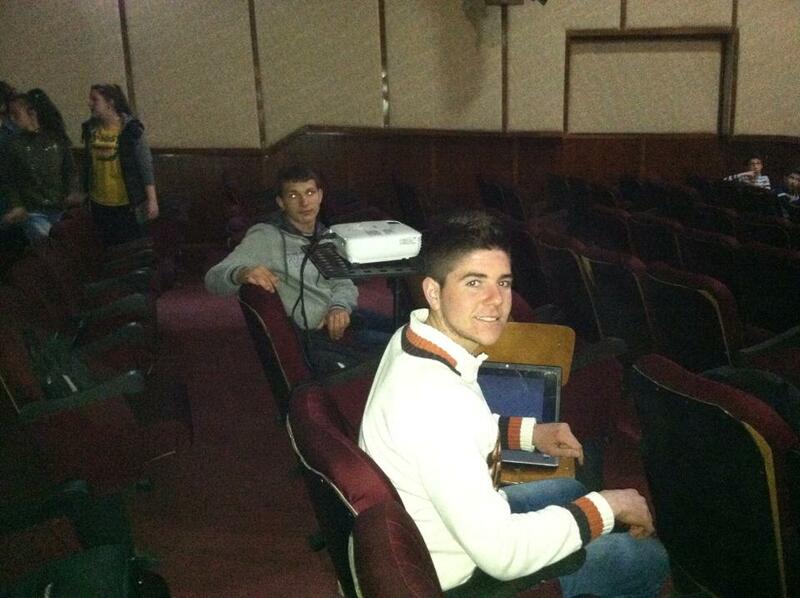 The students found the movie with Shqip subtitles online and did all the promotion. Much of the promotion was done through social media. The students created a Facebook event and endorsed the event in different Facebook groups. We made two big posters and hung them up in town, but sadly the posters were torn down within a day. The club also made fliers and hung them up last-minute. I am not sure if it was that helpful to hang the fliers an hour before the event, but it definitely didn’t hurt either. The students were very hesitant throughout the planning stages of this project and were constantly arguing about small details. They wanted to cancel the event because of all the last-minute planning, but I put my foot down and forced them to continue on with the event. In the end, the event was absolutely amazing and a BIG success. It was definitely worth all the drama beforehand. I set my expectations low for the event because I didn’t know what to expect, but the students blew me expectations out of the water. In the end, the club raised over $200 and over 100 members of the community came out to support the event. Even though the event was a success in my books, it is noteworthy to mention that the participant’s behavior during the event was absolutely horrid. Many students were talking loudly during the whole film. People were shining their phone lights all over the theater. There were several incidences of profanity directed towards me. 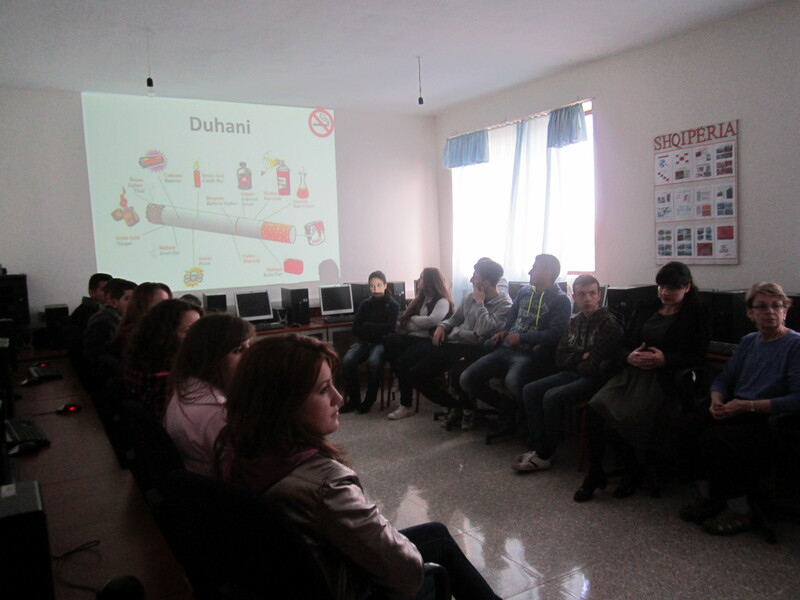 Students continued to try to smoke inside the theater (which is common in Albania – people smoke everyone, including inside schools). And someone ended up unplugging the projector during the middle of the film. The event made me realize how patient I have become since working here. None of the incidences above even fazed me. I was just so pleased that the students put in all the hard work and in the end had something to be proud of. Nothing like this has ever been done, by students in my community, before. After the event, all the students were smiling from ear and ear and I was genuinely so impressed and proud of them for pulling it together despite all the difficulties. This fundraiser has been the highlight of my service thus far and I am looking forward to having more events, such as this, in the future. These students are the voice of the future and give me hope for this wonderful country. The students selling tickets before the show. Our lovely Outdoor Ambassadors youth group. Some more awesome club members! The boys setting up all the technology before the showing. So many people came out for the show! Trying to get everyone’s attention… wasn’t that successful. Celebrating our success after the show! The phrase, “that won’t work,” is one of the most common sayings that I have run into while working in Albania. Albanians are regularly telling me that certain ideas I have won’t work for one reason or another. I can understand certain projects or activities being somewhat idealistic and unrealistic based on available resources here, but I hear this phrase constantly – even with simple ideas. Another example of the “that won’t work” phenomenon I have experienced working with the Outdoor Ambassadors youth group. My site-mate and I recently started a youth group working with students at the high school to promote leadership and environmentalism in the community. We are in the process of planning our first fundraiser to help raise money for future projects in the city. 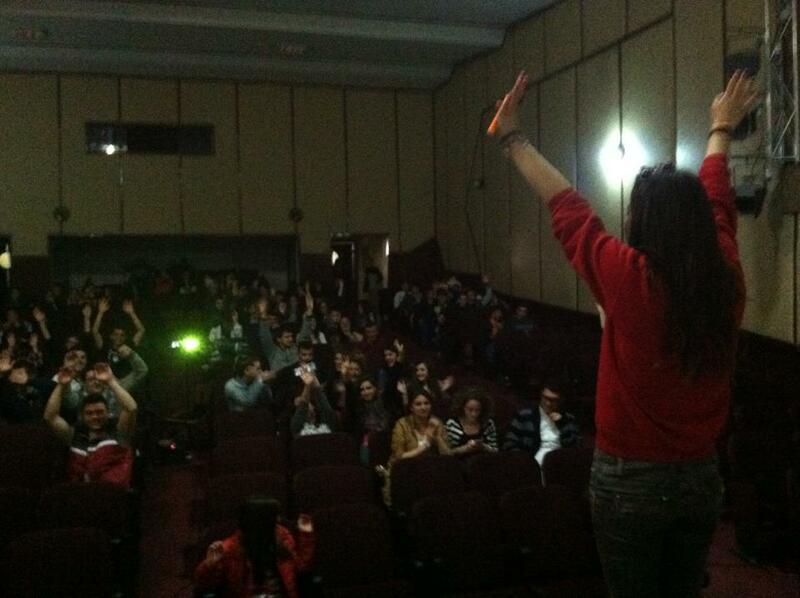 We decided to hold a movie night fundraiser in the theater of the culture center. Along the way we’ve come across a couple snags and several “that won’t work” moments, but we’re still chugging. Hopefully the event will be successful and we’ll be able to continue to have more fundraisers to beautify the city. Many Peace Corps volunteers in other areas of the world face different challenges, but here in Albania we are faced with trying to change mentality. And trying to change mentality can be very tricky and discouraging. I am a firm believer that you cannot change others, they need to have the desire to change themselves. Personally, it can be difficult for me to work here when people feel my ideas will not work. 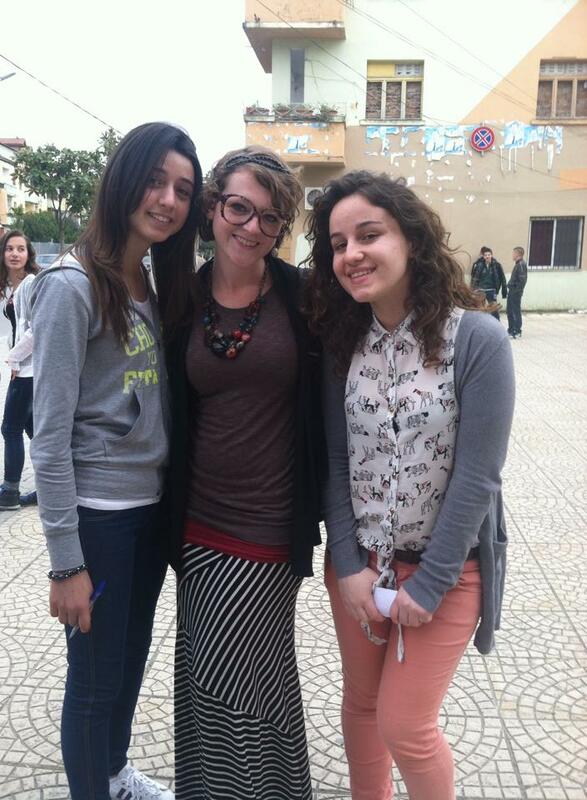 I came to Albania and to Peace Corps to help spread new ideas and to help develop capacity of those that I work with. I think the “that won’t work” trend is abundant here because people are resistant to change. It is apparent to me why many Albanians would be resistant to change after the fall of communism, but that doesn’t make it any easier to work within this system. 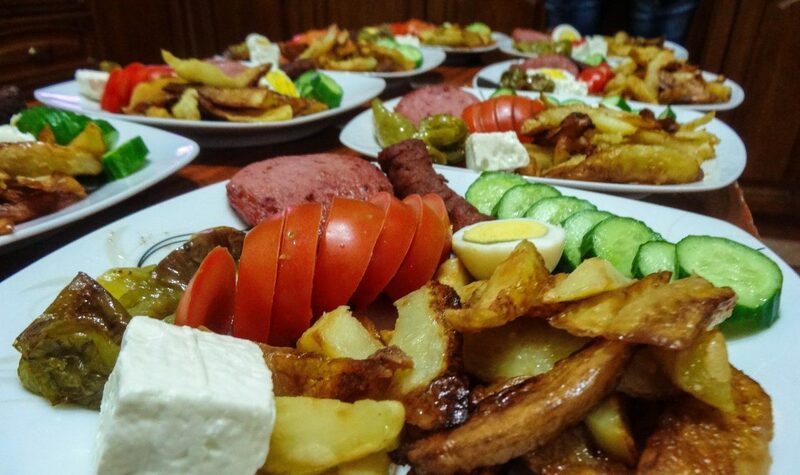 There are many reasons why people are resistant to change and I think there are 6 main reasons why many Albanians I have met are hesitant to alter their behaviors. Uncertainty: Many are unsure how making changes will affect their lives. They don’t know what to expect when things begin changing because they have been working within a broken system for so long. People are uncertain of how implementing changes will affect their status within the community. They do not want to be seen as having a failed project. Mistrust: Many Albanians do not trust each other and do not want to work (or be friends with) people outside of their daily circles. My friend who is a doctor has experienced this firsthand on several occasions. In America, she would constantly rely on her coworkers to help out with certain cases in the hospital, but here doctors will not consult each other. Some doctors will travel over 45 minutes to consult with her instead of working together with other doctors in their offices. My friend feels part of this could be that they do not want others to realize their incompetence in the medical field. Changes to routine: Albania, much like the rest of the world, is a culture that relies on routine. Families wake up, women clean the house and cook breakfast, men go out to the coffee shops and have their morning espresso and raki with friends, men work outside the home – women inside the home, families eat meals together, young boys and men hang out in cafes and grungy internet shops, students attend school, people sit in their offices and sip Turkish coffee for hours while gossiping, etc, etc. Changes to this routine throw people off balance. More work: Another one of my good friends has mentioned that he feels his counterparts do not want to work with him because he equates more work. What is the point in doing more work if everything is going fine now? My coworkers are required to make a monthly plan, yet they rarely follow it. Workplace hierarchy: This is probably one of the main reasons why people are hesitant to change in Albania. Workplace hierarchy is extremely important and all the final decisions are in the director’s hands. This holds true for the health centers, schools, community centers, and all government organizations. Someone could have a really great idea, but if the director doesn’t agree then it just won’t happen. Many people are scared to even bring ideas to the director because of his position in the organization. There is a definite presence of fear when it comes to dealing with many directors here.